Today is Monday, March 4, the 63rd day of 2019. There are 302 days left in the year. On March 4, 1933, Franklin D. Roosevelt took office as America’s 32nd president. 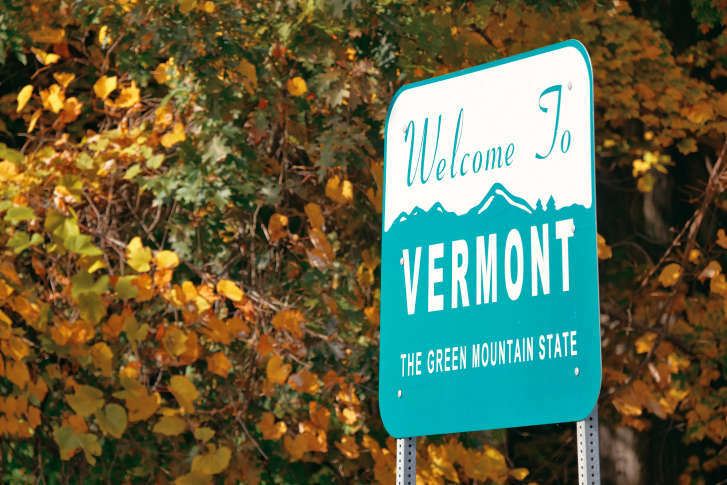 In 1791, Vermont became the 14th state. In 1793, George Washington was sworn in for a second term as president of the United States during a ceremony in Philadelphia. In 1913, the “Buffalo nickel” officially went into circulation. In 1925, President Calvin Coolidge’s inauguration was broadcast live on 21 radio stations coast-to-coast. In 1952, Ronald Reagan and Nancy Davis were married in San Fernando Valley, California. In 1974, the first issue of People magazine, then called People Weekly, was published by Time-Life Inc.; on the cover was actress Mia Farrow. In 1977, some 1,500 people were killed in an earthquake that shook southern and eastern Europe. In 1987, President Ronald Reagan addressed the nation on the Iran-Contra affair, acknowledging that his overtures to Iran had “deteriorated” into an arms-for-hostages deal. In 1994, in New York, four extremists were convicted of the 1993 World Trade Center bombing that killed six people and injured more than a thousand. Actor-comedian John Candy died in Durango, Mexico, at age 43. In 1998, the U.S. Supreme Court ruled that sexual harassment at work can be illegal even when the offender and victim are of the same gender. In 2005, Martha Stewart, imprisoned for five months for her role in a stock scandal, left federal prison to start five months of home confinement. Ten years ago: British Prime Minister Gordon Brown, addressing a joint meeting of the U.S. Congress, called on Americans to look beyond their own tumbling financial markets to see a world gripped by an “economic hurricane” that could be turned around with U.S. help. Playwright Horton Foote, who’d won an Oscar for his screen adaptation of “To Kill a Mockingbird,” died in Hartford, Conn. at age 92. Five years ago: President Barack Obama submitted a $3.9 trillion budget for fiscal 2015. U.S. Secretary of State John Kerry met in Ukraine with the new government’s leaders in a show of support following Russia’s military incursion into the Crimean Peninsula. One year ago: “The Shape of Water” won the Oscar for best picture and in three other categories; the top prize was announced by Warren Beatty and Faye Dunaway a year after they were caught up in the erroneous announcement that “La La Land” and not “Moonlight” had won for best picture. Russian President Vladimir Putin said Russia would “never” extradite any of the 13 Russians who’d been indicted by the United States for election-meddling; he also insisted to NBC News that they didn’t act on behalf of his government. Former Russian spy Sergei Skripal and his daughter were found unconscious on a bench in the southwestern English city of Salisbury; both survived what British authorities said was a murder attempt using a nerve agent.